20% off any purchase of Hookah. The lounge offers a relaxed and trendy atmosphere, incorporating vintage and industrial design concepts. At Art Hookah, each bowl is individually crafted by experienced shisha chefs. This experience and know-how produces unrivaled hookah smoking pleasure. 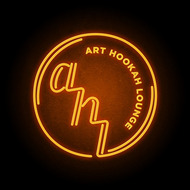 Art Hookah Lounge offers a vast selection of premium tobaccos to choose from, in addition to its array of exclusive teas, gourmet coffees, acai bowls, smoothies and snacks. Come to Art Hookah Lounge-- relax, socialize and play board games. Whether you are looking to enjoy premium hookah or just hang out with your friends, check out the newest, trendiest lounge in San Diego and complete your downtown experience. Complimentary glass of champagne every Friday night at Night Swim. Proof of membership required. 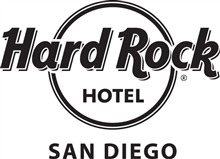 Hard Rock Hotel San Diego’s Float Rooftop Lounge becomes downtown’s hottest spot to sip, swim and socialize once the sun sets with a new weekly Night Swim series taking place all summer long. Nationally-recognized for its daytime pool parties, the hotel will now open the pool every Friday night from 9 pm until close for a more sophisticated soiree under the stars featuring decadent dessert options and $50 bottles of Veuve Cliquot Champagne. DJs spinning an expert mix of deep house and new disco tunes will further enhance an upscale, ultra-lounge vibe as guests have the option of suiting up or suiting down to swim under the stars in Float’s glowing pool surrounded by glittering, rotating colored lights that illuminate the space at night. Admission is complimentary to the public, as well as hotel guests. This event is 21 and over. 15% off for Fit members. Not to be combined with any additional offers. No line/no cover. “OMNIA” means “everything” – and true to that name, it is all you want it to be. Our unique multi-level destination encompasses a high energy main club and premium viewing balcony, as well as a breathtaking outdoor terrace showcasing panoramic views of the Historic Gaslamp district. The nightclub features a variety of musical talent spanning diverse genres for an all-inclusive nightlife experience. Filled with interactive features and luxurious finishes at every turn, OMNIA offers guests a range of distinct nightlife experiences. When buying tickets online Fit members can enter the code PERX to receive 20% off tickets. 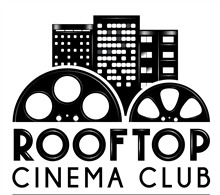 We are Rooftop Cinema Club. We believe that all experiences should be memorable, which is why we are on a mission to transform nights at the cinema to stunning rooftop views, sunsets, starlit evenings, friends, loved ones, awesome drinks, delicious food and great movies on the big screen. Driven by our love of film, our Rooftops promise a handpicked curation of cult classics to new releases. We have put the social and the celebration back into cinema and made it something special. We believe it’s the future. Join our movement. Bring your friends, we’ll bring the fun. 10% off for Fit Members. 20% off restaurant bill (food only) with Fit Key Tag. *Not to be combined with other offers. Tickets for select shows only. Music Box is the premier concert venue and event space in downtown San Diego. Situated in Little Italy, our venue features a diverse array of talented performers, including nationally celebrated artists, local legends, and up-and-coming acts. Our tri-level site boasts audiophile-quality acoustics, locally sourced food menus, and spacious floor plans. Founded in the tradition of legendary venues such as the Fillmore in San Francisco, and the Palladium, El Rey, and Wiltern in Los Angeles, we are truly unique among San Diego nightlife destinations.